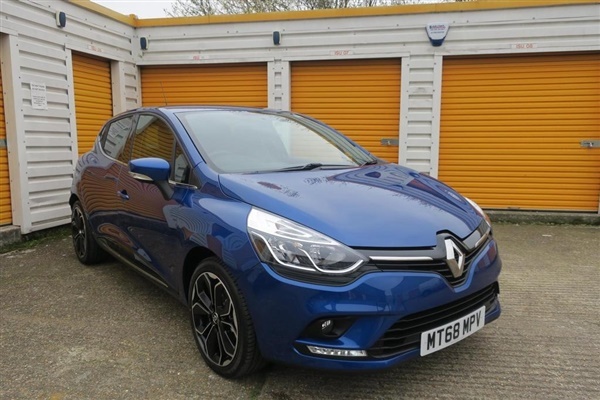 Metallic Special Renault ID - Iron Blue, This vehicle is covered by the remainder of a Renault 3 year manufacturer warranty from the date of registration or up to 100,000 miles. Renault Romford is a manufacturer owned dealership aiming to deliver above and beyond customer expectations. We pride ourselves in first class customer care and have the resources to find your perfect Vehicle., 1 owner, Black Cloth interior, 17in Black Alloy Wheels, 7in Touchscreen, Air Conditioning - Manual, Alarm (Thatcham Category 1), Cruise Control, DAB Tuner, Extra Tinted Rear Windows and Tailgate, FM/AM Radio, Bluetooth Audio Streeming, Front Electric Windows with Anti-Pinch Functioun on Driver Window, Hands Free Calls, Hill Start Assist (HSA), Navteq Navigation, Rear Parking Sensors, Start/Stop Function, Tyre Pressure Warning Light. 5 seats, Renault Romford is an Award Winning Dealership with 98% Satisfation from Customer Surveys.